where two best friends discuss the most fabulous show on television. You can now support us on Patreon! Click here! Get some cool merch and a shoutout on the podcast for just a few dollars a month. Thank you to all of our patrons! Join David Wesley Mitchell and Carolyn Johnson, two vodka lovers with a co-dependent relationship over a decade long, as they discuss weekly one of the best comedies in television history. 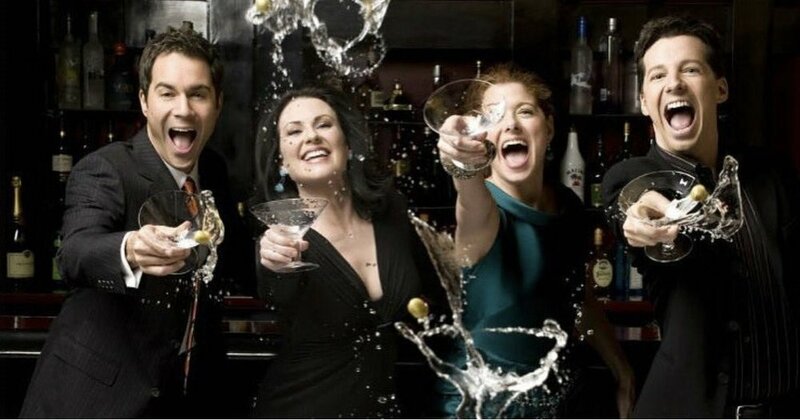 They'll re-watch and recap each episode, talk about the impact Will & Grace had on the world and their young selves, what holds up and what doesn't, and of course, THE REBOOT! Regular episodes released every Tuesday. Chaser episodes discussing the new episodes released the day after airing. Subscribe on iTunes or wherever you get your podcasts today!